In the wonderful tiny city where I live, Northampton Massachusetts, there's a fun annual music festival called Django in June. It's all about gypsy jazz -- performances, music clinics, and jam sessions. Last year it occurred to me that the festival would be a perfect time for a get-together of Django (web framework!) people in the region. Nothing fancy -- some short talks, coding, pizza, beer. With open blocks in the schedule to go hear some gypsy jazz of course. The date(s) would be Saturday June 16th and/or Sunday June 17th, 2007. A handful of people I've discussed this with have already expressed interest. Now is as good a time as any to float the idea and get a rough idea of how many people we might see. If there's enough interest I'll fire up a little site for it in the next couple months and discussion could begin about appropriate venues etc. June can be a busy time at work for me, so I'm hoping to keep it low-key, but of course I will accept help if offered! Post a comment to let me know what you think! Oooh! I've wanted to go to the Northampton festival the past couple of times but didn't end up going. If there's a Django Web framework meeting around the same time in the same area, I'd be much more inclined to go. Excellent! I had a feeling the gypsy jazz angle might lure you in. I'll keep you posted. You're about two hours from Albany, NY, where I live. Sounds like a good excuse for a drive through the cultural Berkshires. Man I would love to be there. I haven't been back to the old UMass Amherst area in quite a while. I might be able to fit a trip for CO to MA in June. 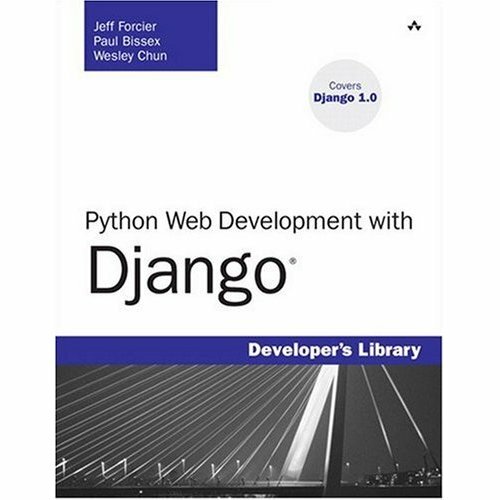 Django + Django is a strong combination. Throw in some Antonio's pizza and how can anyone resist. This is great. In the last 24 hours I've heard from a dozen or more people interested in coming. Sometime in the next few weeks I'll make a little site for planning etc. I'll make another blog post at that point (which will show up in the Django community aggregator as well). If you want to be notified by email, just send me your email address. Sounds like a good time and Northampton looks like a great town. I'm going to try and make it. Hi Paul! Good to meet you tonight at the local developer's meeting http://developer.nervestaple.com. Paul, I'm in. Drop me an email when things firm up. I'm in the area and am a big fan/user of Django and python, let me know when a date is confirmed, thanks.